A fish tank under 10 gallons is a small fish tank that can keep one or two fish at max. Many people think that smaller fish tanks don’t need filtration like the bigger ones, but that’s just a myth. It does not matter how big or small your fish tank is, you need a filtration system to keep the water clean and its inhabitants healthy. In fact, many experts believe that smaller tanks require even more maintenance as the water can get dirty quickly due to the little amount. For a smaller tank, small external aquarium filters are your best bet. There are many reasons for that. Smaller fish tanks already have congested space in them making it difficult to install a filter kit inside. Moreover, in smaller fish tanks, the water contaminates quickly and needs to be changed every three days. If you have a filter inside, doing the job can get troublesome which is why installing a system outside is your best bet. Lastly, external filters are a good option as they can also keep your tank’s aesthetic value intact. This is one of the smallest external aquarium filters you’ll find on the market at such a cheaper price. However, its low price doesn’t mean that its performance is low too. This filter is suitable for a tank that holds 5-10 gallon of water. It works at 40 GPH and keeps your tank clea. Moreover, it comes with an extended filtration area that makes sure that water circulation is good. 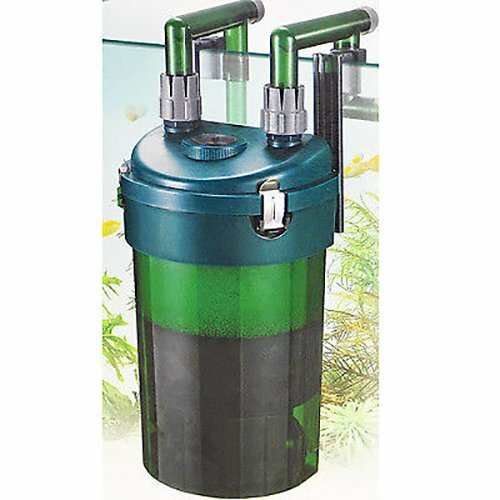 It’s a compact filter that you can easily hang at the backside of your aquarium. This eliminates the need to keep it on the table or some platform for support. Smaller filters are often defamed about being too noisy. However, such is not the case with Pawfly 40. It is ultra quiet and does the job without producing any noise. There is though one con to this filter. The connection tubes need to be kept under water, which causes the tubes to keep moving under water that may cause the filter to not fit properly. Deliveries are not very timely. The Odyssea CFS 130 is ideal for people who own a 20 to 40 gallon fish tank. The filter can be hung on at the back, hidden from view and works for both marine water and freshwater. One of the best things about buying this filter is that along with its kit, you’ll get interesting accessories including a filter pad, sponge and bio-media as well to decorate your aquarium. The accessories are pretty nice and can make your aquarium look better. The filter works on a 3 staged filtration system and makes sure that the water is super clean and free from dirt, debris and any sort of chemicals that are spread by fish waste. This smallest external aquarium filter doesn’t take much time to filter all the water in the tank as it runs at a speed of 120 GPH and turns your dirty aquarium water into crystal clear again. However, this machine comes with a drawback. Emptying the chamber might be a bit of a problem because sometimes, air accumulates in the filter and needs to be removed by filling it in with water. Filter up to a 40 gallon fish tank. Clips might not hold the cord that runs through the top of the tank. If your tank holds 20 gallons or less amount of water then you should consider buying the TechnToy SunSun HW-603B Canister filter. 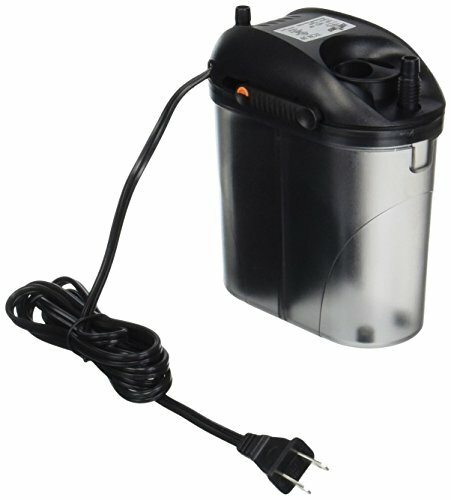 This smallest external aquarium filter can handle 106 GPH in an hour which is more than enough for a 20 gallon aquarium. 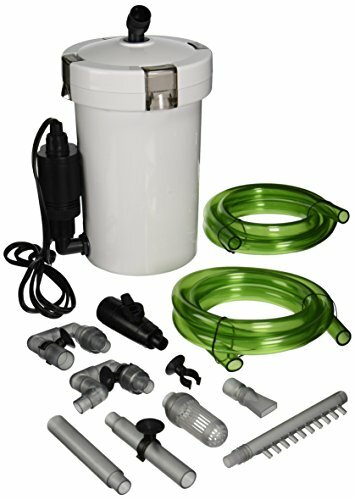 This is a perfect filter system for beginners as it comes with pads, hoses and other items that helps you begin right away. There is enough room above and below the pads that help you filter out debris and dirt. 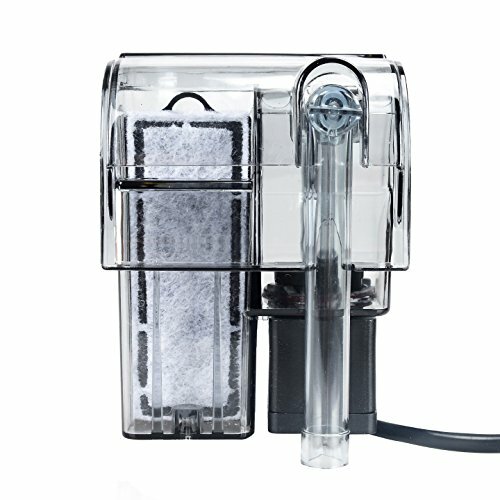 The filter offers a quick filtration process as it operates on 3-way filtration cycle that ensures that the water is cleared out mechanically, chemically and biologically, leaving behind nothing but crystal clear water. This piece of beauty can clean up to 400 litres of water due to its high speed. This is better than most other options out there and also leaves you with a good amount of space for accessories since it is installed externally. However, you may get trouble finding its spare parts if something goes wrong. But this does not seem to be a problem for most people since the filter is quite durable. Works for both marine and freshwater. Spare parts not available easily. It might only be suitable for 10 gallon fish tanks, but it beats many other external canister filters when it comes to performance. Buying this filter will also get you a spray bar which helps with a smooth flow when the water is being filtered. Like many other canister filters, this one also cleans the water with three way filtration technique. You can rest assure that your aquarium will be clear from all the particles, chemicals and odor as the filter does filtration mechanically, biologically and chemically as well. The pump of this filter is extremely quiet and you won’t be hearing any kind of noise when it is filtering the water during the day or even in the night. The only con to this filter is that is only supports tanks under 10 gallons. Very quiet when it’s operational. The pump isn’t that strong and might need to be replaced after a few months. The Azoo External Power Filter offers super quiet performance and is a great choice for aquariums up to 20 gallons. This external filter is very easy to assemble and to install and also leaves you with enough space to add other items as the connection tubes do not take much space. This is filter is extremely safe and easy to use. Also, you can choose whether to hang it on the fish tank or simply place it on a table, whatever you see fit. 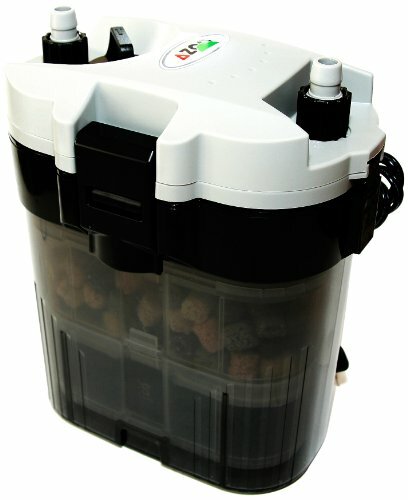 With the triple filtration cycle, your fish aquarium stays clean from fish waste and other kind of dirt and particles. However, the durability of the filter is a bit questionable which is why it requires proper maintenance. Filter media is already loaded in the filter drum. These are the 5 best smallest external aquarium filters on our list. While they are super efficient, still, they need proper maintenance and cleaning. While cleaning the filters on small aquariums, make sure that you unplug all connections first and remove every piece of equipment you have attached to it. Grab a bucket to drain the filter media into it, but make sure to never dry it out completely as that can kill the beneficial bacteria on it. Use a brush that has soft bristles on it when you are cleaning smaller parts and hoses of the filter.